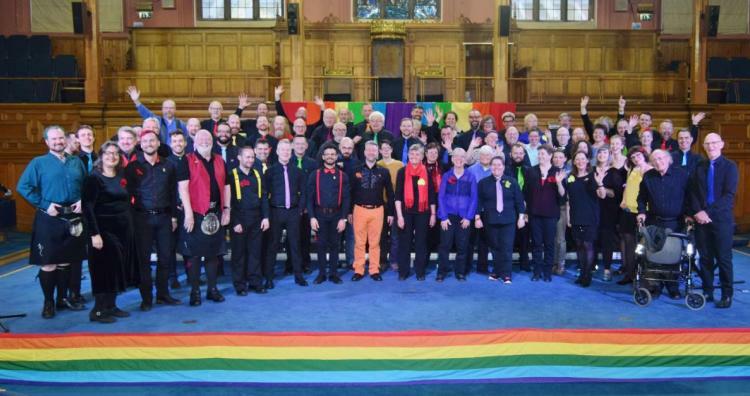 For the first time in history Edinburgh Gay Men's Chorus and Loud and Proud came together for a joint concert, The Rainbow Assembly! We were trying to raise funds for our forthcoming trip to Munich, our sister city, to take part in Various Voices, the Europe-wide LGBT+ choir festival. We came together in song, celebrating the LGBT+ creative community and started our musical journey to Germany. We had a wonderful audience and it was a night we will never forget.